Many people visit Oahu for the world-class beaches, but there are some, like myself, that enjoy the beaches and the weather but visit for the adventure. 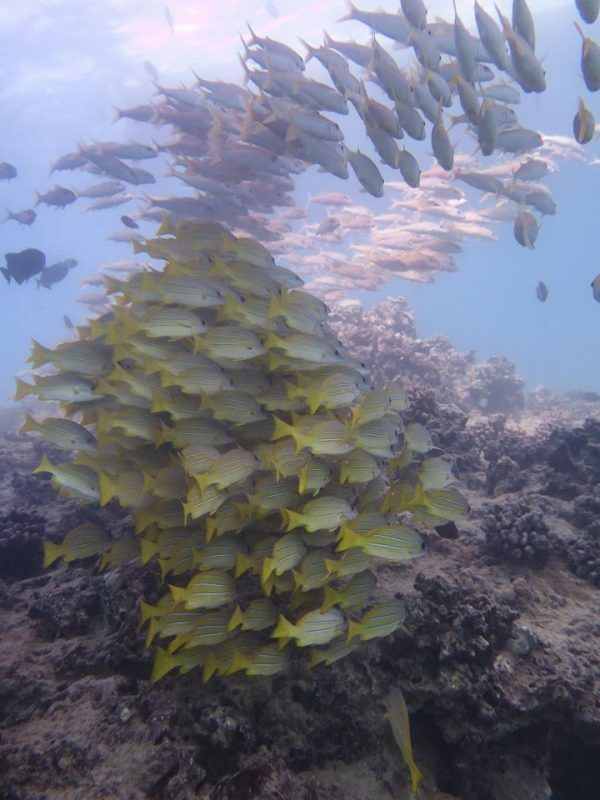 From above the clouds to below the ocean surface, Oahu has some of the most exciting challenges and greatest adventures. 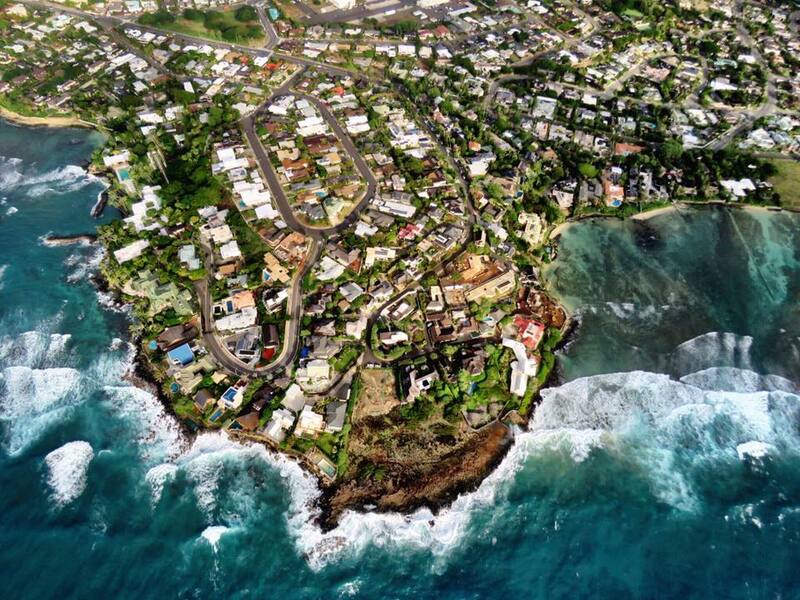 Surfing, HALO skydiving, sailing, flying, and diving are all within arm’s reach in Oahu. Here are the 5 Greatest Bucket List Adventures in Oahu. Located in the heart of Waikiki, Ty Gurney Surf School is Oahu’s premier location for surf lessons, surf tours, rentals, and more for all ages and abilities. They love to surf, and they’re ready to share their passion and knowledge with you. Whether you’re looking to ride a wave for the first time or advance your technique, the Ty Gurney Surf School team will deliver a fun, personalized experience customized to your skill level and individual goals. My favorite instructor at Ty Gurney Surf School, Joey Carroll, will spark a passion and drive for surfing on the island. He gave me confidence and made me feel invincible. I stood up and rode a wave on the first try because of his exceptional teaching abilities. It was as much a lesson in good teaching habits as it was surfing. The Spirit of Aloha is a modern 54-foot catamaran that departs from the port at Hilton Hawaiian Village. Its captain and lifeguard-certified crew members are available to answer questions about the ocean, navigation, sea life, and marine conservation. Amenities include a full bar with draft beer, a large fully-enclosed and covered cabin with table and bench seating, two full restrooms, surround-sound system, and multiple stairway entry points for snorkelers entering the water. Ample outdoor areas for sunning are also available. 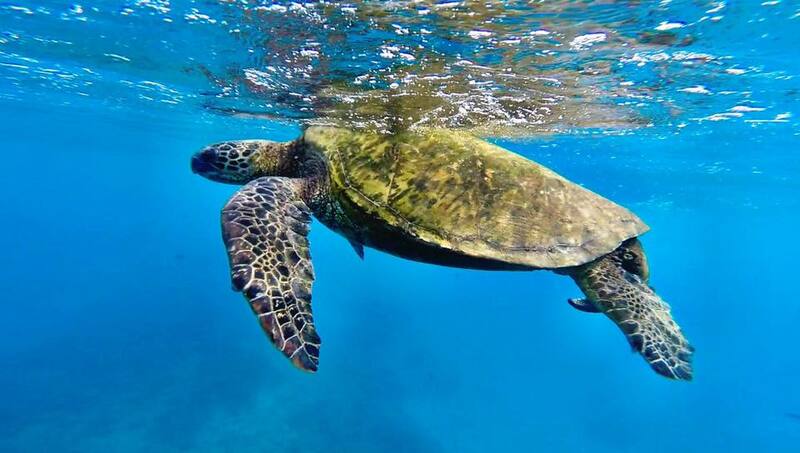 The highlight of the tour is snorkeling with turtles. Our guide led us to the best spot to see turtles surface and I was able to spend almost two minutes snorkeling alongside one chill turtle before he went on his way. We saw more than a dozen turtles during the snorkel and followed it up with relaxed sailing along the coast. The Doors Off Adventure is more of a celebration than a tour, a sensory rush with the wind in your hair. You fly in the same helicopter used in the Magnum P.I. television series. The route covers most of Oahu and every seat had an excellent view, unobstructed by doors. Tour highlights include Honolulu Harbor, Diamond Head crater, Hanauma Bay, Kaneohe Bay, Chinaman’s Hat, “Jurassic Park” valley, Sacred Falls, and North Shore. Flying above the clouds and falling through skies at 120 mph is an adventure you will always remember and treasure regardless of the location, but add the Hawaiian setting and make it a HALO jump and you have one of the greatest adventures in existence. 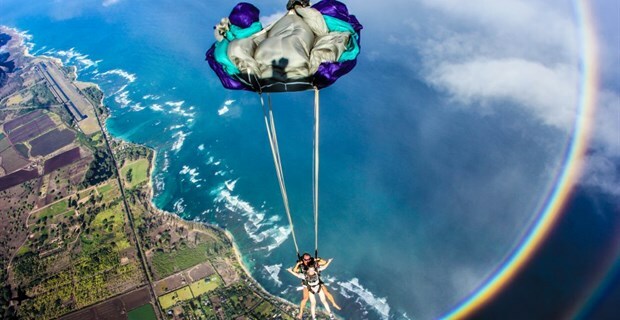 HALO tandems at Skydive Hawaii have proven to amaze both new and experienced skydivers. With a wide angle 360 view of the entire island chain, the jump makes for an unforgettable experience for all brave enough to take the leap. The Pelagic Shark Program gives you a rare opportunity to snorkel with sharks without a cage. They guarantee that you will see a shark while you’re in the water. The average number of sharks seen per trip ranges from 6-20. The most common shark sighting include Galapagos and sandbar. There have also been tiger sharks and scalloped hammerheads. Whale sharks, great white sharks, mako sharks, silky sharks, oceanic white tips, and oceanic black tips have all been observed while on their trips but are extremely rare. For someone whose greats fear use to be sharks, this was the most amazing opportunity of my life. The Pelagic Shark Program is based on shark behavioral research and data collection integrating educational information adapted for the general public to utilize in order to reduce or avoid adverse shark interactions. The program gave me a completely different view of sharks, a realistic perspective and a calmness and excitement about just how incredible they are. I was able to see for myself that they do not look at humans as a natural prey item and I was able to see just how beautiful they are. For most people, just visiting Oahu is on their bucket list, but there are endless options for adventure once you arrive. These five made the list during my most recent visit but there are plenty more to experience and cross of your bucket list. I can’t swim, so all snorkeling is out for me, but I am sure that my husband would LOVE to go there and do this! WOW. What an experience. Ahhh – all of these look incredible to be a part of participating in! I just started paddle boarding this past summer and loved it. It was a “why not” kind of thing and I am so glad I tried it out, because now I am hooked! Oh gosh all these things are on my bucket list! Especially surfing and snorkeling! 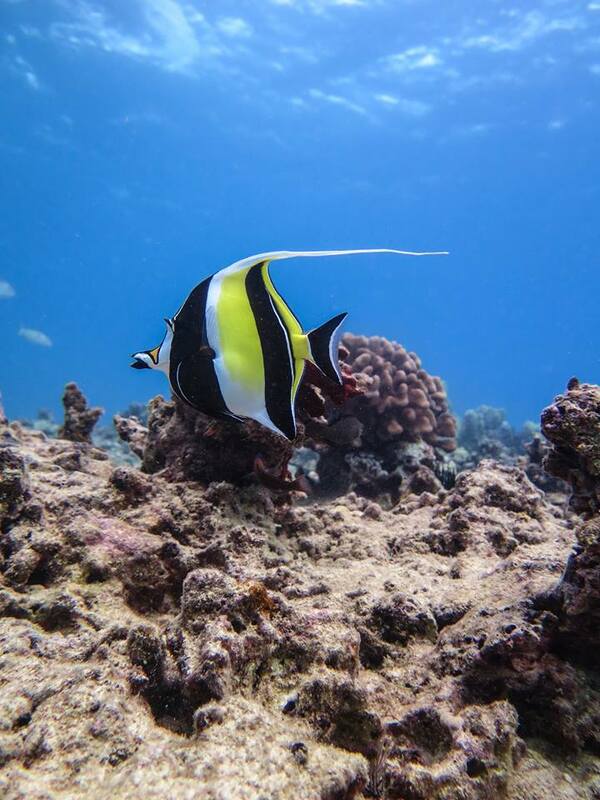 Hawaii is definitely on my bucket…and now I want to go to Oahu specifically! So many fun adventures to be had! I would absolutely love to skydive one day that is definitely on my list of things to do. Fantastic bucket adventure list. I just got back from Maui. We had our own bucket list for that trip, but nothing as adventurous as what you have here. I could do without the heights and sharks, but I would have love to surf or snorkel while we are there. Such great experiences! I am making sure that a trip to Hawaii is on my bucket list! I visited Oahu almost 20 years ago (wow I feel old now) and I loved it. I would love to return with my husband and do some of these suggestions but I don’t know if I could do the shark one. I would love to try the turtle adventures! That sounds awesome! It all sounds awesome though – I would love to visit Oahu one day. Wow! What a great adventure – this is totally on my bucket list. I would love to see turtles in the wild. I’d love to return to Oahu — I went when I was 19, but it rained the whole time. Your bucket list sounds amazing. I’d also love to do a helicopter tour! I am up for all that except hanging around in the clouds! I am down for swimming with turtles, and the surf lessons sound awesome! This looks like a fantastic place to visit! The pictures from the helicopter are incredible! I really want to do that! It’s so great to hear that the shark tour is trying to educate the public as well. Sounds like a great trip! I’ve been to Hawaii several times and I never tire of it. I have my AFF license, so skydiving there would be pretty cool. It’s something I haven’t actually done there yet. My husband’s girls LOVE snorkeling. We’ve always gone to Maui with them, but perhaps we’ll have to change it up (though I admit I love Kauai best). Thanks for the list! When we went to Hawaii, we went to Honolulu and we really wanted to go to Oahu because we heard it was amazing. We never got there, so I will have to save these ideas for our next trip (one day!). Omg so many fun things to do in Oahu!!! I haven’t been in a few years but now you have me craving trip! Oahu seems like a wonderful place to visit. I would love to go there and maybe snorkel with the sea turtles someday. That sounds like a lot of fun. My husband and I snorkeled with sea turtles on our honeymoon. It was AMAZING. 10/10 would recommend do it ASAP! I just bookmarked this! I’m traveling there next year and I’m definitely up for trying a few of these. And my travelling bucket list just got longer…! These are great ideas and look like they would all be wonderful experiences! This looks pretty exciting. I think I would’ve signed up for the Shark Program and the Helicopter tour. I’m scared of heights but it looks stunning from up above. I would definitely have to go snorkeling in Hawaii. A helicopter ride sounds very fun too!